A couple of days ago, Maddie and I sat out in our backyard, in the cool morning, to draw. 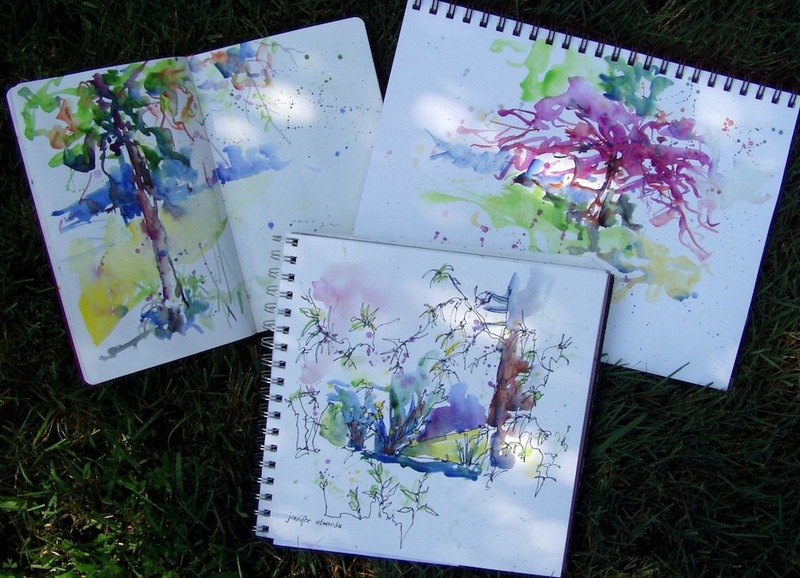 I had several sketchbooks (as I do when using watercolor, so that I can move on to another drawing while one is drying), pens, watercolors; and she had her big sketchbook, pencil, and markers. When she is finished with her drawing, I’ll show it to you…so wonderful! When I draw first and then add watercolor, I am free to splash the color around any way I’d like: outside the lines, splashy, sloppy, or as minimalistic as I want. It’s as if the lines are a foundation, a structure, a scaffolding on which the watery colors can hang or stand upon. 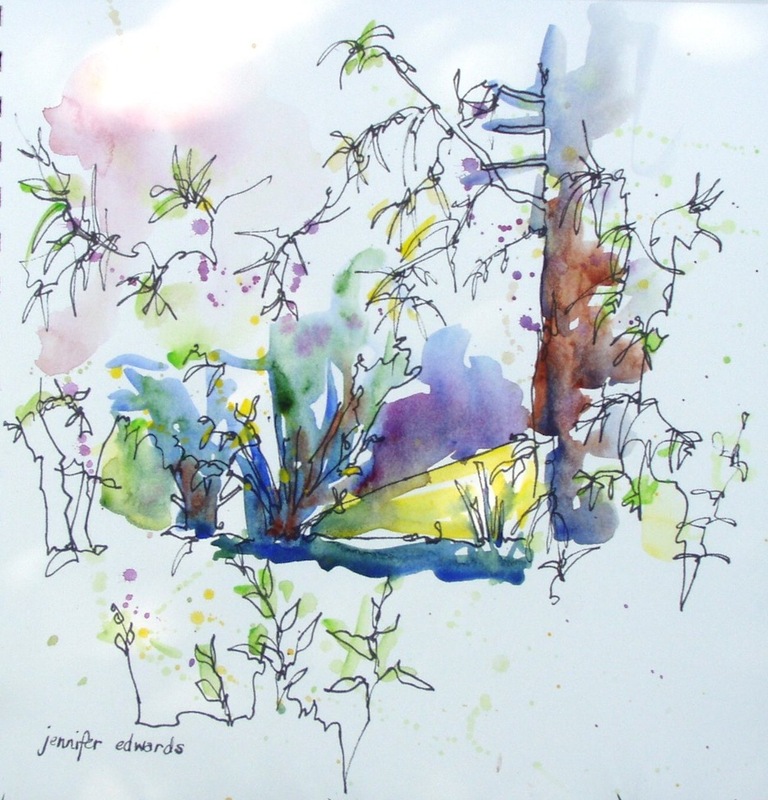 Without the line structure, watercolor needs to maintain that structure itself, even if it has a free look about it. This seems a lovely picture of our lives…when we have a solid foundation, a good structure or scaffolding for our minds & hearts, we have much greater freedom to swoosh, splash, or hold back as we like. There’s a sense of rootedness. A feeling that we’re anchored in some way and that anchoring allows us to fly around in dreams. This image comes to my mind here as well. So I thought I’d share it with you, dear reader. It is always my hope that your art will speak volumes to you about life and living. That it will give you more and more inspiration for living your life fully! I’ll still be swooshing watercolors around without lines…I wonder if they’re invisible on my paper as I paint. Hmmm…something else to think about!! very interesting reflection! thanks for sharing it. I love the way your mind works and the way you can put it into words. Oh, and your watercolors are gorgeous too. Thanks cat! And Hanneke, and Jutta too!